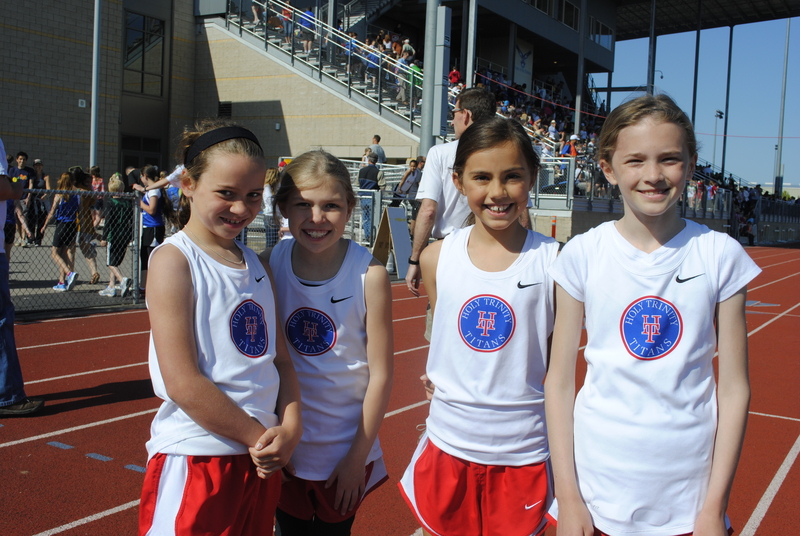 The CYO Roadrunner Championship features the entire entry of third and fourth graders from the track and field program. This year 558 youth have registered to participate in the meet with 200 long jumpers alone! The event showcases the upcoming talent and gives every child in these grades the opportunity to participate in a championship. The day began with a parade where all the kids from each team march around the track and line up on the infield for prayer and announcements. An impressive sight to see all of the participants lined up by team covering practically the entire length of Liberty High School Football field! The Roadrunner Championship was preceded by four weekends of regular season meets, four track meets per Saturday to accommodate some 1600 participants. Next weekend, the 5th, 6th, 7th and 8th graders will compete in the CYO Meet of Champions at Jesuit High School. The Meet of Champions is a two day event.